By now, everybody knows that coral reefs around the world are being seriously degraded by the effects of warmer water caused by climate change. Occurrences of coral bleaching are far more frequent than they used to be (nobody had witnessed such an event prior to 1982), and their cumulative impacts have been a primary cause of the substantial loss of coral cover worldwide. Estimates of loss over the past 30 years or so, based on sound scientific data, approximate 50% for both the Great Barrier Reef and the Caribbean, while less extensive data from other regions confirm these results are not unique. This is a far more rapid rate of loss than that of rainforest, or forested land overall, and is clearly not a rate that is compatible with the continued presence of coral reefs. Scientists are united in attributing major portions of this loss of coral to the effects, direct or indirect, of climate change. Those of us who have spent our careers doing research on coral reefs have long wondered why what is currently happening to them has not mobilized deep concern across the world to do something promptly to reduce the risk of further human-caused climate change. Indeed, I vividly remember being at a large international conference in 2000 where the effects of the strong 1997-8 el Niño were a hot topic. Conversations kept coming back around to the hopeful expectation that the world’s first circumtropical mass bleaching episode would be the very strong wake-up call to the world that would begin the effort to rein in emissions of greenhouse gases. To us, the link was obvious, and the consequences of ignoring climate change were going to be devastating in many ways, far beyond our coral reefs. Reefs were just the canary, doomed to suffer first and thereby warn the world. But it did not turn out as we expected. Ever since, reef scientists and managers have been struggling to articulate the story of coral reef decline in ways that will more effectively capture the attention of the public and lead to strengthened policy on climate around the world. We have provided detailed case studies of bleaching events around the world. We’ve explained the links between rising temperatures, bleaching, coral mortality, and reef degradation. We have used powerful models to project likely futures. We have helped document the enormous value of coral reefs, economically, esthetically and biologically. And we have advocated for action, locally and globally, that would help sustain coral reef systems. All seemingly to no avail. I’ve come to believe that the failure of most people to get what I‘ll call the coral reef message is due to several factors, only some of which are under the control of the scientists and managers. We can be blamed for part, but not all, of this failure. The media also share part of the blame. And the audience – that everyperson out on the street – shares the rest. Let’s consider each in turn. Coral reef scientists, like other scientists everywhere, seldom find ‘the art of story-telling’ among the courses required during their graduate careers. Somehow, we assume telling stories is easy, and we all know how to do it. Fact is, we don’t, and peer review by journals, or at conferences, seldom addresses this gap. Some of us even believe that telling stories is somehow not what a scientist should be doing; it smacks too much of entertainment. Our colleagues put up with this deficiency and drive themselves to listen to our 15-minute conference presentations or read (or at least skim) our journal articles, even when the talks and the articles are mind-numbingly boring. Real people are simply not that interested. 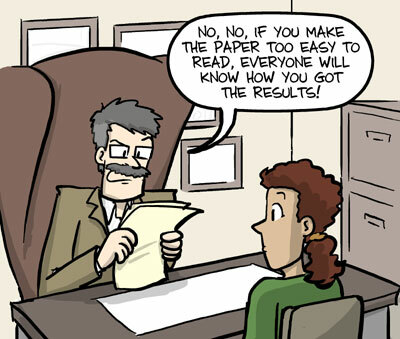 Randy Olson, long ago a coral reef scientist, has drawn my attention to the following cartoon that makes this point with respect to seminars or conference papers, but it applies to every written communication as well. Properly designed, each has a structure that begins with some background (Randy calls this ‘and’), identifies the problem being addressed (‘but’), and draws a conclusion (‘therefore’). A lengthier talk or technical article will have a more complicated structure – likely an overall ‘and, but, therefore’, with a series of two or more subsidiary ‘and, but, therefore’ sections within it. Each such sequence of elements builds a story arc that generates, maintains and finally rewards interest by the listener or reader. 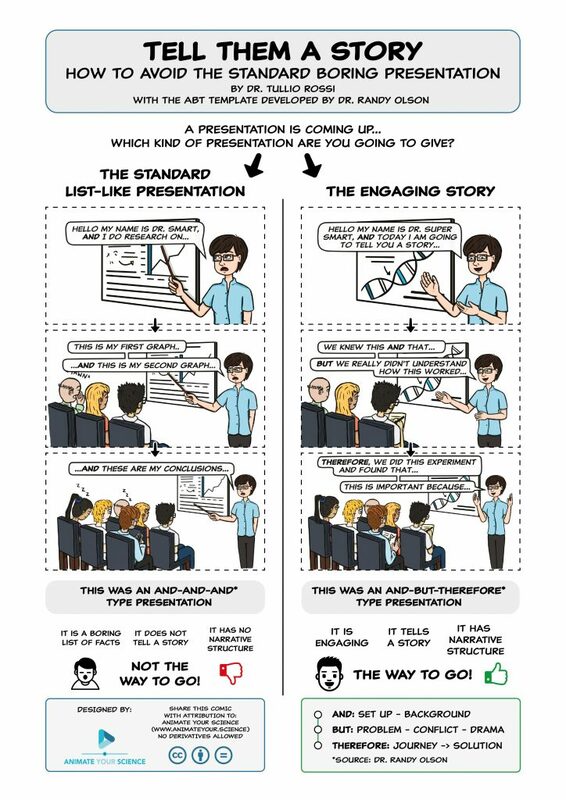 While some of us are increasingly attending to story-telling in our conference presentations, very few of us bring this to our technical articles. Too often, our articles are a succession of ‘and’ with no discernable story arc, just a long list of mind-numbing details. Then too, the sequence of such details is often incompatible with story-telling. The journals seem to go out of their way to impose a structure on articles that bears no relationship at all to story-telling; in some journals Materials and Methods, or ‘what was done’ becomes ‘supplementary material’ stored separately in an archive so the main text jumps directly from introduction to results; in others, Results and Conclusions come ahead of Introduction. Naturally, scientists now read such articles by glancing at the opening paragraph, scanning the figures, taking a quick look at the final paragraph and then maybe reading more carefully. This reading is not done for enjoyment, and the articles are seldom enjoyable. Mostly, they are not memorable either. Nor does peer review improve the quality of writing; the focus instead is on scientific accuracy and rigor – definitely important aspects of a technical article. When we add deficient copy editing, a general tolerance of slang with meaning limited to those from the same subculture as the author, and the fact that few English majors end up as scientists it should not be surprising that technical articles are seldom models of effective story-telling and sometimes barely literate. Yet it is the stories that make a piece of science memorable, and articles that are not remembered don’t get cited and might as well not have been written. Science students are seldom taught how to communicate science effectively. Well, OK, you say. Technical articles are intended to convey information within the science community. They were never meant to tell stories. I disagree, but perhaps more important is the fact that we scientists also apply our story-less style to pieces of writing that are intended to reach a wider audience. There are gloriously talented exceptions among us, but for the majority, our articles for the popular press come out as a long string of details: and, and, and, and, and. Back when I began my own career, the process of publication took a year or more, with manuscripts and revisions being mailed back and forth across the globe before type was finally set and a journal issue printed. I think we did a slightly better job of story-telling; I know we spent more care on each manuscript (and published far fewer). Now, in a world of instant communication, peopled by far more scientists, under far more pressure to succeed, the production of poorly written articles does not generate much attention for the author. Yet it is attention that is essential to maintain the stream of funding needed to do science, and scientists have learned to compensate for their nonmemorable technical articles by using social media and press releases to try and generate buzz each time a new article appears. Many universities now have established publicity units that help with this buzz-making task; in others, the scientist has to go it alone, again with no formal instruction on how to do so. But how do you generate buzz? By telling effective and enticing stories. Since we don’t know how to do that, we adopt an easy two-step trick to create enticing copy concerning a new piece of research: hype the story as new, different, the first report, a major breakthrough; and make sure the story contradicts prior studies or the current consensus on a topic. Now, don’t get me wrong. There are breakthroughs in science, there are major discoveries, and there are discoveries that completely redefine our understanding of some topic. They deserve to be highlighted, shouted from the hills. But every single article coming out of a scientist’s research lab? No! We all occasionally do confirmatory work, or routine baseline work needed to prepare for the breakthrough. Papers reporting such work do not deserve a Hollywood treatment with searchlights in the sky and a stirring theme by John Williams. Unfortunately, in our efforts to generate buzz about everything we do, we are creating a dull background drone. We are also misleading the media and the audience. The advent of social media has been tough on the traditional media, or more specifically the professional media. While the number of career journalists has almost certainly grown, the demands on their time are greater, and the degree to which they can afford to specialize on complex topics such as science has decreased. The pressure to publish quickly has led to verbatim line-for-line reporting of the press releases created by those hyping scientists who are not very good at telling stories. When the journalists have the time to write their own words, they latch onto the most sensational claims by the scientists and create the semblance of journalistic balance by citing one source from each side of any apparent controversy (journalists too are competing to be heard). I’m not sure whether the science community deserves the greater part of the blame for the sorry state of science reporting because of our willingness to claim inflated importance for our work and to stress how it contradicts prior understanding, or whether the journalists are primarily to blame for taking the bait we feed them hook, line and sinker. Between the two of us, we have made a mess of the reporting of scientific stories. This mess is made worse when the topic, as is the case for climate change, impinges on the perceived vested interests of powerful individuals and corporations. To protect their interests, these economically powerful entities have joined the communication effort with their own, often well-crafted, press releases and stories all designed to raise doubt concerning the scientific consensus or the degree of certainty of current scientific conclusions. Many journalists, ill-equipped to discern scientifically shaky claims, incorporate into their own stories the material fed to them by these professional deniers. Last month I undertook a quick survey of recent media reports concerning coral reefs. This was not a scientific survey, but a quick skim using Google, hunting out interesting articles much as would anyone attempting to keep up with what the media were saying. I gave preference to well established print media, and reputedly ‘authoritative’ news sources including some web-only ones. Here’s what I found. This pair of images shows the congruity between extent of coral mortality during the 2016 bleaching event (left image) and the heat exposure (as degree-heating weeks) immediately prior (right image). Figure © T. Hughes & Nature. This article had first appeared online at the Nature site on 18th April, and Hughes had provided a press release. Science Daily put the press release up on its site the same day. The Atlantic printed an article by Robinson Mayer that depended heavily on the press release. It is scientifically accurate and captures the main points of the Nature article, but the science is so wrapped in poetic metaphors that I think many less-informed readers would come away confused. It begins “Once upon a time, there was a city so dazzling and kaleidoscopic, so braided and water-rimmed, that it was often compared to a single living body. It clustered around a glimmering emerald spine, which astronauts could glimpse from orbit. It hid warm nooks and crannies, each a nursery for new life. It opened into radiant, iris-colored avenues, which tourists crossed oceans to see. The city was, the experts declared, the planet’s largest living structure.” A good thing that paragraph follows the simple title: “Since 2016, Half of All Coral in the Great Barrier Reef Has Died” otherwise who could guess what Mayer meant! (One of the challenges in conveying science is to make the story interesting without losing the reader in the process, but I’m not sure such dense metaphors help. Mayer skips easily from “a kind of invisible wildfire” which “mercilessly ravished the city” to discussion of topics as esoteric as “degree-heating weeks” (his italics), and back again, but does manage to avoid distorting the science. Peter Hannam, science reporter at the Sydney Morning Herald, also made use of the press release in reporting, also on the 18th April. He picked up on Hughes’ casual reference, when interviewed, to the reef being ‘cooked’ and this became the first word of his title: ‘Cooked’: Study finds Great Barrier Reef transformed by mass bleaching. On 19th April, things began to go downhill. Graham Lloyd, environment editor at The Australian – flagship of Rupert Murdoch’s News Corp – drew upon the press release but put his story under the title “Not all scientists agree on cause of Great Barrier Reef damage”. He quoted Jochen Kaempf, Flinders University, as saying “the claimed link between the 2016 heatwave and global warming has no scientific basis”. This quote was out of context and concerned the detail of whether the anomalously warm sea surface temperatures in the reef region in 2016 was a direct consequence of climate change or not (in much the same way, scientists can rarely be certain that a specific storm, or a particular run of warm weather, was a direct consequence of climate change rather than an example of the high variability that characterizes all weather). Kaempf supports the idea that climate change is degrading coral reefs and was one of 154 scientists who signed an open letter to the Australian prime minister in August 2016 protesting that government’s failure to tackle greenhouse gas emissions seriously. The Cairns Post picked up on Lloyd’s creativity by generating an article the following day under the heading “Link between Great Barrier Reef bleaching and global warming “has no scientific basis”: researcher”. Also on 19th April, Mikhail Matz, University of Texas, Austin, with three colleagues in Texas and Australia, published an article in Plos Genetics concerning whether or not corals had the ability to adapt rapidly to warming. 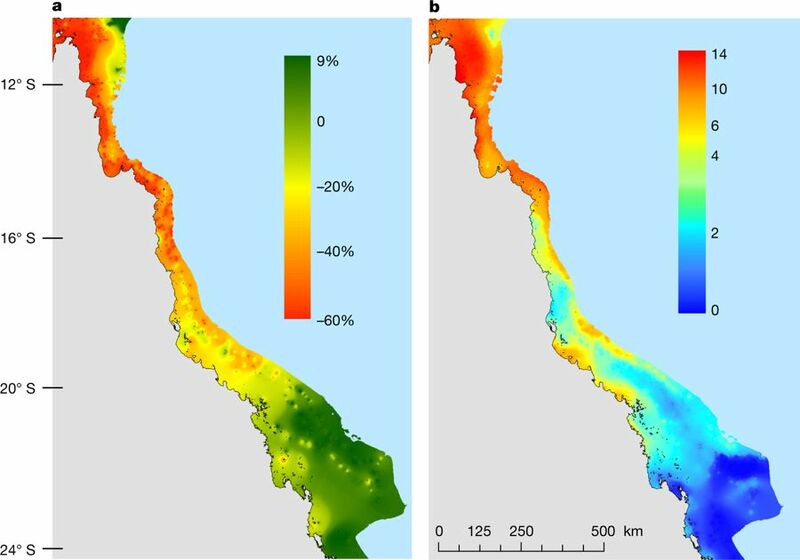 They had used information on genetic variation in the common and widespread Great Barrier Reef coral, Acropora millepora, and biophysical models of coral propagation along the length of the reef, to explore whether putative genes providing tolerance to warmer, more tropical waters of the northern GBR might be transmitted southward as climate warmed over the next 50 to 100 years. Their modeling results suggested less tropical populations of this species of coral did have the capacity to evolve greater warmth tolerance in that way. Media being media, promptly turned their attention in this new direction. Pacific Standard, the California-based newsmagazine, published an article on 19th April with the optimistic title, “Corals Can Withstand Another Century of Climate Change”. It drew on the Plos Genetics article, while avoiding mention of the fact that Matz and colleagues had looked at a single widespread species in a modeling exercise which showed that species might succeed given continuation of current warming rates. The reporting is correct, and yet, by conflating ‘coral’ and ‘coral reef’, it suggests that reef degradation is no longer a problem. For the reader who reads carefully, the article concludes with a final quote from Matz, “The only thing which actually will solve the problem is to stop climate change”, but many readers do not read carefully. And so it goes. Mikhail Matz was one of several coauthors of an article published in Proceedings of the National Academy of Sciences on 25th April. That article, headed by Phillip Cleves of Stanford University, essentially demonstrated that Acropora millipora, like other organisms, could be manipulated genetically using the CRISPR technology. To do so, they had to collect newly fertilized coral eggs during the brief 1-2 day spawning window. This very preliminary study was reported in The Independent under the heading “First genetically engineered coral created to help save reefs from climate change”, but that is far from what Cleve’s team had done. They had achieved changes in a couple of genes that have nothing to do with tolerance to warming. They held out the hope that in future, scientists would be able to identify genes responsible for heat tolerance or bleaching, and then use CRISPR to deliberately manipulate them. Meanwhile, on 27th April, the Huffington Post website reported “The Dangerous Belief That Extreme Technology Will Fix Climate Change”. That report was prompted by a small conference held at Harvard University earlier in the year. It includes information on the likely cost (a few billion dollars) of solar geoengineering involving the delivery of sulphur dioxide to the stratosphere over a 10-year period and expresses concern that at such a relatively modest cost, there is little to stop rogue nations or individuals undertaking such action without sufficient preliminary risk analysis. The risk is real. We belong to a culture that has convinced itself, through numerous past successes, that technological fixes exist for all problems and it’s only a matter of time before we will find the fix for climate change. The search for such a fix removes the urgency to undertake serious emissions reduction. The Huffington Post article is timely. It also reports that Harvard University already has an interdisciplinary Solar Geoengineering Research Program. That program functions at present to encourage discussion and evaluation of such possibilities, but it could easily morph into a program to undertake such activities on our behalf. On 9th May, Earth.com advised, “Marine protected areas help coral reefs survive climate change” based on another new technical article, this time in Science Advances, by Bob Steneck, University of Maine, Pete Mumby, University of Queensland, and three others. Their article reported on their detailed survey of protected and unprotected sites across the eastern Caribbean. Mumby and Steneck selected only MPAs that were well-managed and actually succeeded in reducing fishing effort (there are many MPAs that have no measurable effect on fishing pressure at all). These effective MPAs were compared to comparable reef sites open to fishing in a survey that included abundance and size distribution of larger groupers and snappers, and of parrotfishes, abundance of benthic turf algae, and abundance of young coral recruits. The results showed that effective fisheries management via an MPA affected all of these, but that the extent or power of the effect was reduced at each step from the harvestable fish, to the algae, to the recruiting corals. The idea that protecting parrotfishes and other herbivores on reefs will reduce algal populations, thereby permitting more effective settlement and growth of recruited corals is logical, but evidence supporting it has been weak even in the Caribbean where it may be most relevant. This article establishes that the chain of hypothesized processes does work as expected and MPAs, properly managed, could enhance coral recruitment in places where otherwise algal growth will outcompete the corals. It’s an important article. But it certainly does not claim that MPAs help reefs confronted by climate change. For Earth.com that is too fine a point by far. Subsequent headlines I found were “Great Barrier Reef’s five near-death experiences revealed in new paper” (Sydney Morning Herald, 28th May), “How Justin Trudeau and Jerry Brown Can Help Save the Great Barrier Reef” (The New Yorker, 30th May), “World’s largest coral reef farm set for Fujairah” (Gulf Today, 1st June), and “Coral decline in Great Barrier Reef ‘unprecedented’” (The Guardian, 5th June). These referred respectively to a new study of the geological history of the Great Barrier Reef over the past 30,000 years, the fact that political leaders of Australia, Canada, and California are doing little to reduce production of fossil fuels – the one essential action to assist coral reefs, a routine announcement of a new business enterprise in the UAE to farm corals commercially (the report was not clear on the uses to which the farmed coral would be put), and the release of the annual report from the long-term reef monitoring project run by the Australian Institute for Marine Science, a 30-year long record of coral decline on the Great Barrier Reef. 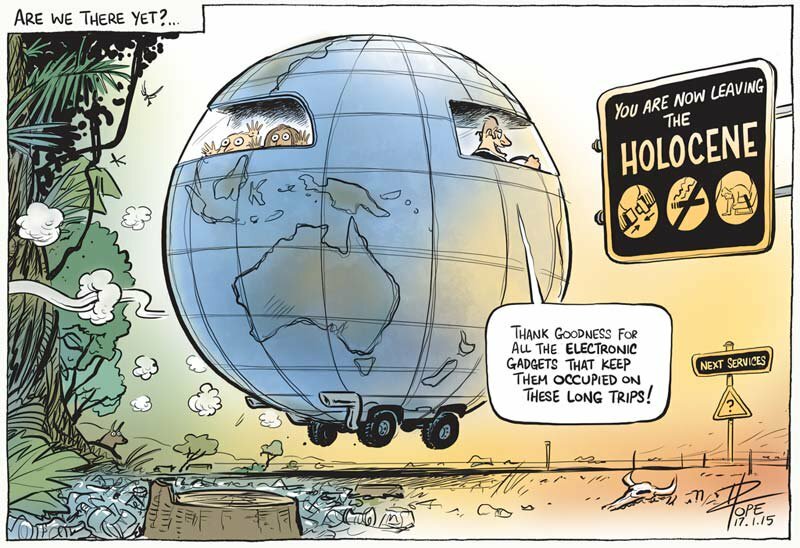 None of these directly relate to the 2016 bleaching or to the effects of climate change on coral reefs, but if one just scans headlines they suggest, respectively, that the GBR has nearly died five times, that the likes of Justin Trudeau and Jerry Brown can save it, that farming of corals is under way in the Middle East, so all is now well, and finally that the deterioration of the GBR is unprecedented. Given my survey, I’m not surprised at all that the average everyperson is a bit confused about what is happening to coral reefs. The sequence of headlines bounces us back and forth from despair to optimism, journalists have been seduced by the hype in press releases by the scientists, errors in interpreting the science have been made (Earth.com), and in some cases (The Australian, Cairns Post) there has been a deliberate effort to mislead. I think we should be able to depend upon the media to do a better job than this. And then there are the readers, the everypersons who, in talking to one another, create public opinion; who vote; who support (or not) government actions on climate change. They also must bear part of the blame for the failure of communication, although in their case the blame is tempered. They may be shirking the responsibility to be well informed and contribute effectively as members of their societies, but it is the education available in those societies and the cultural norms that have left many of them less able than they might be to evaluate the news provided by the media. In advanced western societies today, one can generally say the following about the people: The ability to evaluate news critically is weaker than it should be. The sense that understanding the issues of the day is an important part of citizenship is poorly defined. The capacity to discriminate fact from hypothesis or to spot the logical fallacies in an argument is more limited than it should be. The distinction between belief and fact is poorly recognized. And the idea that there are fundamental truths and absolute impossibilities is increasingly being questioned. Coral reefs are biogenic rocky masses that are dynamically balanced between rates of calcification by corals and some other reef organisms and rates of reef erosion due to wave action, storms, and action of numerous bioeroding species that drill into, dissolve, or bite off chunks of reef rock while consuming the algae that live in its surface layers. Corals and coral reefs are entirely different entities despite the fact that bleaching is a response by corals that has direct consequences for reef degradation. Corals are the major calcifying organisms on coral reefs, but they depend on an intimate symbiosis with minute photosynthesizing dinoflagellates that live within the coral’s tissues. Physiological stress, such as that caused by warmer than usual water, breaks down this symbiosis, and without their dinoflagellates the corals are compromised and may die. Coral cover is a standard measurement to quantify the abundance of living coral on a reef and loss of coral cover is a measure of the extent of coral death caused by (eg.) a bleaching event. ‘Death’ of a reef is a colloquialism referring to severe reef degradation because a reef is not a single organism capable of dying, but a collection of many organisms each of which may die. When many corals on a reef die it is common to speak of the reef as now ‘dead’ – it has lost substantial coral cover, but it will ‘recover’ if recruitment of new juvenile corals and growth of any corals that did not die substantially restore its level of coral cover. There are many factors that can degrade coral reefs by reducing their coral cover, excessive warming, severe storms, outbreaks of the Crown of thorns starfish, numerous coral diseases, siltation, coastal pollution and sea level change are some of them. These factors can act together or separately and can be differently severe in different locations or at different times. Such ideas (this list is incomplete) are part of the unspoken fundamental knowledge possessed by any reef scientist or manager, and by many other people, but individuals lacking this knowledge will find media accounts of what is currently happening to coral reefs difficult to interpret. Nor should we expect the everyperson to know the details of coral reef ecology, yet articles in the media are overflowing with such details, but not presented in a way that helps the reader get the gist of what is happening. Poorly equipped to understand the scientific details, buffeted by sensational headlines, whipsawed back and forth between despair and optimism, is it any wonder that for most readers, the prevailing coral reef message is that “reefs are being harmed, scientists are making discoveries, there is concern, but there is also reason for optimism”? And that is a story that is not particularly interesting, certainly not a story that will keep everypersons attention. If you do not depend directly on a coral reef, it’s just another just-so nature story. I don’t pretend that the discoveries arising from my half hour with Google are definitive, but I think they are representative of what would be found by an interested everyperson attempting to understand the coral reef crisis. I recognize that there exist many gifted scientists able to communicate effectively with the wider public, and journalists able to read the technical literature critically and create factual yet interesting stories for the wider public. I know there are members of the public who genuinely want to understand their world. But I also know that the state of communication of the coral reef story can be improved substantially. If anything, there are too many stories in the media that delve deeply into the nitty gritty of particular scientific studies, and too few that provided the needed overview and a wider perspective. There are two parts of the coral reef message that deserve wide promulgation. The first concerns our current understanding of the immense value of coral reefs biologically, economically and esthetically. It deserves more than the reporting of some facts and figures about numbers of dependent people, contribution to GDP, and some vague waffle about solace for the soul. I think the case can be made that we have an obligation to humanity, and a moral obligation to the planet as well, to act to minimize our unintended negative impacts on coral reef systems. The second concerns the canary connection between the effects of climate change on coral reefs and the concern of many environmental scientists that human activities have begun to shift the planet beyond the planetary boundaries that define a ‘Holocene-like’ environment. For me, this connection is ultimately what makes the ‘coral reef message’ deeply troubling, because a non-Holocene world is likely to prove a very difficult place for our civilization to continue to prosper. We have it within our power to address the size of our footprint on this planet and are changing our behavior far too slowly. A concerted effort to convey both these parts of the coral reef story to the everypersons, using effective story-telling techniques, could be far more effective in raising awareness and concern about the current decline of coral reefs, and in building understanding of the perils we are currently creating for ourselves around the world. The societal changes needed are unlikely to occur without this. Most of us remain blissfully unaware that we have left the Holocene for parts unknown. The coral reef story gives us a preview of how things may turn out. Comments Off on How can we expect the average person, or even a politician, to understand what is happening to coral reefs?